On this page, we’ve collected tips and expert advice to help you before, during, and after you remodel your home! Whether you have questions about finding a contractor, setting a budget or visualizing design plans, we’ll make sure you have everything you need for a successful home renovation. Get Started: Wondering where to get started with your home remodeling project? This is what you need to know. Welcome to January. Last month, you cooked up your dream home in a heady mix of holiday punch, gingerbread and champagne. Now it’s time to build those foundations. Carefully choosing a licensed contractor, budgeting attentively and understanding local building laws are all important preliminary steps, but they aren’t the first things you should do. So, how do you actually start? How do you translate the airy structures of December into your very own castle on the ground? 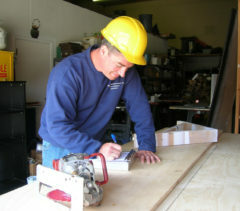 Find out how to choose a contractor for your home remodeling project in 8 easy-to-manage steps. 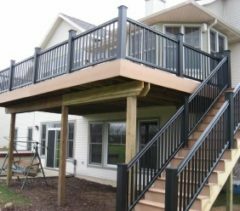 There are numerous ways you can cut costs on your home remodeling project without compromising quality. Arm yourself with the right information to help your home remodeling project go smoothly. Ryan & Ryan Construction, Inc.
Kitchens by Ken Ryan, Inc. Define the scope of the project. Before you begin interviewing designers and contractors, have a clear idea of what you want. Consider which aspects you plan to change and which you plan to keep. Knowing what you want will be very important when it comes to determining the project’s budget. Establish your style. Get a sense of your style and make sure it’s appropriate for the size, price and architecture of your home. Browse home remodeling websites and magazines and note what you like and don’t like. You may not understand the nuances of all the different styles, but if you can get a clear idea of what you like and don’t like and communicate that to your designer, it can be extremely helpful. Define structural details as early as possible. 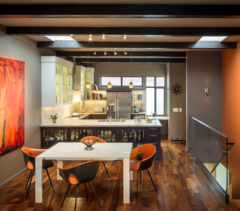 Whether you plan to open up a wall or change the size of a door or window, structural changes are one of the most expensive aspects of remodeling. They can consume your budget very quickly if you’re not careful, so you should get a contractor involved in the design early to verify the viability of planned structural alterations. Insist on detailed documentation. Unless it’s a simple repair, design and drafting make a huge difference in clarity of scope and accuracy of detail, so make sure every phase is accompanied with detailed drawings. In addition, make sure you have a written contract that spells out all the terms of the project. Choose the right partners. 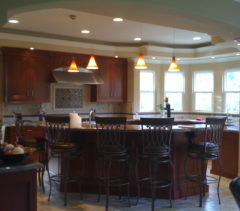 One of the most essential aspects of remodeling is finding a quality, trustworthy contractor and designer. Additionally, since home remodeling is often a long-term affair, make sure you hire someone you feel comfortable working with. 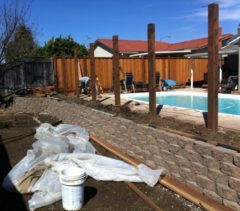 BERKELEY — While some remodeling projects are relatively simple, others involve multiple phases that consist of consecutive segments leading up to an eventual finished product. In this scenario, it’s important to think about your project holistically, considering both the initial phases and the final result. By establishing long-term goals ahead of time, you can better ensure efficiency throughout the remodeling process. 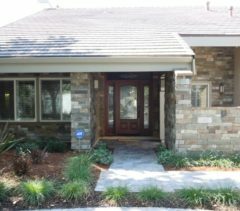 The biggest benefit of establishing long-term remodeling goals is it enables your contractor to plan efficiently and design consecutive phases to be compatible with future ones. In contrast, when long-term goals aren’t established, work performed in a project’s early phases may have to be redone to accommodate later ones, which can result in reduced efficiency and substantial added cost. To avoid wasting time and money, be sure to discuss your long-term goals in great detail before the work begins. 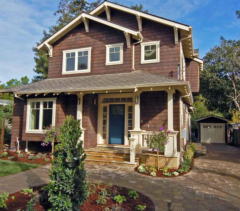 SOUTH SAN FRANCISCO — A common question homeowners ask when planning a remodeling project is whether any building permits will be needed. The reality is, in almost any instance where you’re making significant changes to your home (remodeling a kitchen or bathroom, replacing a roof, removing load-bearing walls), you’ll need to obtain one or more permits. If you have any questions about whether your project requires a permit, call your local building department and they’ll be able to tell you. Remember, if you neglect to get a permit for a job that requires one, you put yourself at risk of several consequences. In addition to being fined up to 10 times the cost of each permit, your project will be “red-tagged,” which means no work can continue until you pay the fines and obtain the required permits. So, don’t take any chances—make sure you or your contractor get all the necessary building permits before doing any work on your home. 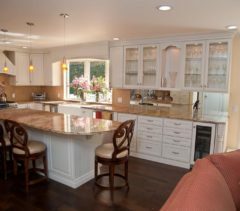 With kitchen cabinets, you have two basic options: custom cabinetry that’s made locally or modular cabinetry that’s produced in a large manufacturing facility. 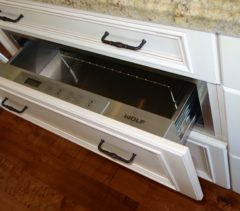 While many consumers assume a local cabinet maker builds everything from scratch, many actually purchase components such as doors and drawer boxes separately, as well as send the cabinets to a separate location for finishing. In contrast, most modular cabinet manufacturers do everything at a single location: they dry their own lumber, make their own doors and drawer boxes, and do their own finishing. So, in a way, modular cabinets might be considered more “custom” than locally made ones. 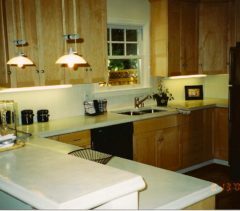 In terms of countertop materials, there are generally two products to choose from: granite (including marble) and quartz. One of the main benefits of quartz is it’s mixed with an epoxy that acts as a natural sealant, which makes it impervious to stains. Granite offers a more natural look, but it requires a bit more maintenance, including sealing. BRISBANE — Earthquakes are an ongoing concern for anyone who lives in the Bay Area. One way you can be proactive about protecting your home and family is to know the condition of your home’s foundation. If you understand the signs to look for, you can determine if measures are needed to bolster your home against earthquake damage. 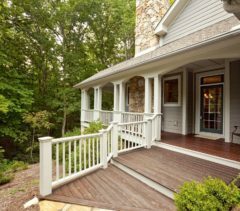 Depending on when your home was built, the character (as well as the quality) of its foundation can vary. For example, many houses built in the 1920s and ’30s have foundations that were engineered using local materials, which isn’t good. Local sand contains impurities, which leads to degradation of the concrete. Also, builders in those days likely didn’t use enough Portland cement, as it was very expensive. To assess the condition of your home’s foundation, perform this simple test: go down to your basement with a hammer or screwdriver and attempt to scrape off a piece of your foundation. If you’re successful, it’s a sign that the foundation’s integrity is compromised, in which case you should call a structural engineer. Another thing to look for when assessing your home’s earthquake readiness is signs of foundation settlement, which can be caused by anything from poor soil compaction to drainage issues. 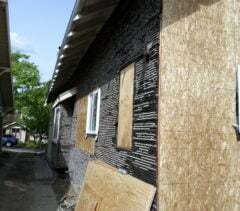 In most cases, signs of foundation settlement can be found inside the home in the form of wall cracks, whether in corners or diagonally above doors and windows. Another common sign is a door or window that suddenly becomes difficult to open or close. If you start to notice these signs in your home, it might be time to get a professional assessment from a structural engineer. 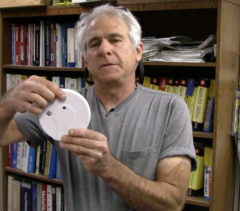 OAKLAND — Smoke and carbon monoxide detectors may be easy to ignore, but they can also potentially save your life. Fortunately, there are new models that are simple to use and further improve home safety. One of the biggest advantages of new smoke detectors is the “hush button” feature. In the past, if you had a smoke alarm that was constantly triggered by cooking smoke or shower steam, the temptation was to simply remove the battery, which would render the unit useless. The new models reduce the nuisance of accidental alarms by allowing you to “hush” it with the touch of a button. When purchasing a smoke or carbon monoxide detector, it’s a good idea to read and save the directions, as well as register the product with the manufacturer. Most manufacturers have an 800 number that consumers can call if there’s a problem with the unit, and they’ll generally replace a malfunctioning unit free of charge if it’s within the warranty period (typically between five and 10 years). If you’re still using old, battery-powered smoke and CO alarms, remember to be proactive about changing their batteries. Typically, you should change the batteries in a smoke detector once a year and the batteries in a combination smoke/CO alarm every six months. Whether you need to mark your calendar or set up another type of reminder, a little forethought can go a long way toward ensuring safety in your home. Today, we use window coverings like blinds and drapes to improve our windows’ insulation and provide privacy and light control. However, with the advent of smart glass, window coverings may become a thing of the past. Smart glass has transmission properties that can be altered by the application of voltage, light or heat. For example, with the flip of a switch, a panel of glass can go from fully transparent to opaque, providing privacy or glare reduction when desired. Likewise, smart glass can assist with home energy efficiency, as the molecules within the glass are charged to respond in a certain way to fluctuations in light or temperature. Whether they’re letting in heat in winter or blocking ultraviolet rays during the summer, smart glass windows go beyond the insulating abilities of normal glass to provide a more comfortable home environment. With photovoltaic glass, your windows can double as solar panels. 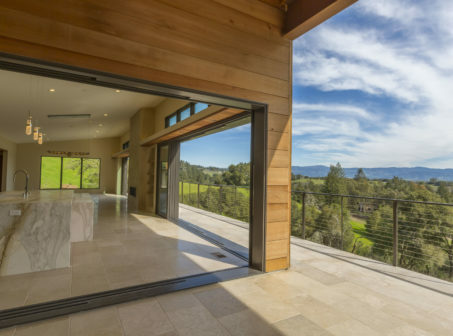 All the windows on your home’s southern and western exposure can be glazed with a photo-prepared coating that turns them into electrically charged entities. Some studies claim that photovoltaic window glass will pay for itself within a year of installation due to the energy it generates. These revolutionary glass technologies are expected to be available for the residential market in 2018, so stay tuned, because it’s going to be a whole new world. SEASIDE — One aspect of home energy efficiency that many homeowners aren’t aware of is air loss prevention, despite the fact that the transmission of air between the interior and exterior of a home is a major cause of energy loss. Fortunately, there’s a simple, effective and fairly inexpensive way to address this issue. Since air transmission is usually conducted through cracks, joints and other gaps between a home’s interior and exterior, a simple way to address this is to fill in these gaps with supplemental sealing agents. The application of caulking and expansive foams within various apertures throughout your home can make a considerable difference in reducing air transmission and improving energy efficiency. This becomes even simpler during a remodeling project, when a home’s walls, ceiling or floors are already opened up. Discuss this option with your contractor—for just a couple extra hours of work, this small step will go a long way toward reducing your energy usage and improving comfort inside your home. 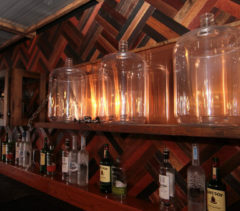 REDWOOD CITY — If your home was built prior to the 1960s, it may still have its original knob-and-tube electrical wiring, a precursor to modern Romex wiring. While it would be excessive to say knob-and-tube wiring is dangerous, there are some potential safety concerns. The main one is that its sheathing tends to decay and fall apart over time due to high heat exposure. This can create an unsafe condition—you don’t want heat conductors coming into contact with metal boxes and light fixtures. To avoid this safety risk, consider replacing your knob-and-tube wiring with Romex. In a Romex cable, all wires are securely housed within a vinyl sheathing, which insulates and protects them. Plus, unlike knob-and-tube wiring, Romex wiring is grounded. That’s why modern homes have three-pronged electrical outlets while older homes have two-pronged outlets—that third prong connects to a ground wire, which knob-and-tube wiring doesn’t have. An ideal time to upgrade your wiring is during a home remodeling project. Since the walls will already be opened up, this measure can be done for little additional cost—a small price to pay for the increase in safety. There are a few proactive steps you can take to control exterior groundwater. One is to avoid situating plants right next to your home’s foundation or attaching planter boxes to your home’s exterior. Even more important is to make sure the ground outside your home is properly graded, which will cause water to run away from the foundation rather than collect around it. Taking these and similar measures to control groundwater will help you safeguard the structural integrity of your home and avoid costly repairs. 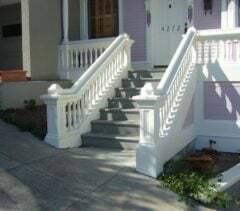 PETALUMA — In anticipation of an upcoming building or remodeling project, home and property owners tend to get excited about seeing the work begin. However, any construction project entails a number of preliminary hurdles that must be cleared before the actual work begins, including the architectural design and permitting process. The process begins with a meeting between the contractor and the client, in which the project’s parameters are discussed, as well as what kinds of plans or permits will be required. This is typically followed by a meeting with one or more architects to talk about the plans and establish pricing. 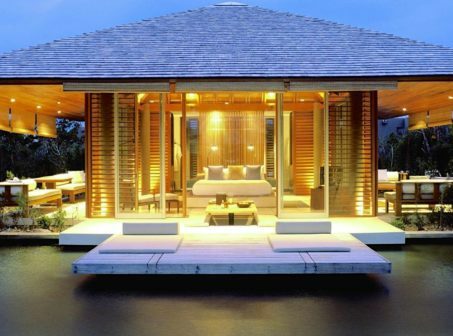 Once an architect is chosen, he or she will draw the plans, which can take anywhere from two weeks to two months depending on the project’s size. Once the plans are completed, they’re submitted to the local building department. 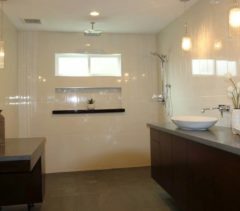 The wait time for approval depends on the size and scope of the project—a simple bathroom or kitchen remodel will take two to three weeks, while a whole house build will take four to five weeks. If revisions are needed, it’s typically a quick turnaround for the architect, and following resubmission, the plans should be approved and the permits granted within a couple of weeks. 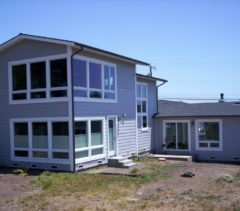 All in all, from the initial meeting to the procurement of permits, you’re looking at six weeks to three months for an addition or remodel, or six months to a year for a whole house build (depending on the location). For this reason, it’s important to have realistic expectations about your project’s timeframe and plan accordingly. CAMPBELL — Energy efficiency and in-home comfort are both high priorities for most California homeowners. One affordable home improvement measure that addresses both of these aspects is the installation of a radiant barrier in the attic. A radiant barrier mainly consists of sheets of low-E reflective insulation, which, unlike conventional insulation, reflects heat instead of absorbing it. When stapled to the bottoms of attic rafters, this material creates a barrier that reflects heat back out through the roof rather than letting it into the home. 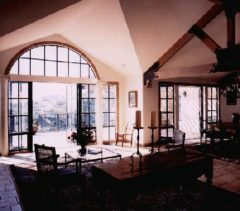 Considering the low cost of installation, the benefits provided by a radiant barrier are substantial. First of all, when properly installed, it can reduce an attic’s temperature by as much as 35 degrees on a hot day. Even better, since the temperature reduction takes some of the load off your cooling system, a radiant barrier also lowers your energy bills, which makes it easy to recoup the installation expense. SAN JOSE — An important aspect of any building project is making sure things are done to code. The State of California has rigorous building code standards, both in regard to structural integrity and energy efficiency, so it requires careful diligence to stay in compliance with the law. 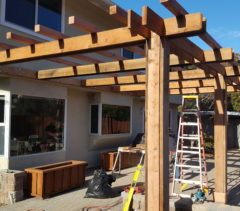 Due to the stringency of California’s building code, it’s easy for do-it-yourselfers to miss important details. 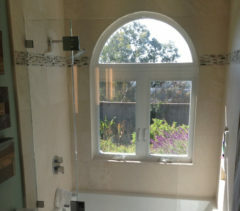 For example, many homeowners do their own shopping for finish materials like faucets and light fixtures, but if they aren’t familiar with code requirements (especially those outlined in the California Green Building Standards Code), they may end up getting materials that aren’t code-compliant. This can result in an expensive mistake when the city inspector informs them that their new fixtures have to be replaced. To avoid these kinds of issues, it’s important to partner with your contractor or designer to ensure code compliance at every level. By staying in line with building code requirements, you can ensure a smooth process and avoid costly mistakes. Add foundation anchor bolts. Anchor bolts help secure a house to its foundation and prevent it from sliding off during an earthquake. Even if your home already has foundation bolts in place, it may be worthwhile to add more for increased reinforcement. Brace cripple walls. Cripple walls (the short wood stud walls enclosing the crawl space beneath the first floor) are often the first part of a home to fail during an earthquake. To prevent this, brace yours by nailing plywood shear panels onto the insides of the walls. Reinforce ceiling joists. This is achieved by adding structural hardware to the joists. When done in conjunction with retrofitting measures to the lower walls and floor system, reinforcing ceiling joists can increase your home’s overall stability. While these measures may sound somewhat in-depth, all of the required materials can be found at your local hardware store, and the information on how to apply them can be obtained from the Department of Building Inspection. If you don’t feel comfortable implementing these measures yourself, hire a contractor to handle them for you. Either way, seismic retrofitting may save your home from destruction in the event of an earthquake, so don’t put off this crucial task. 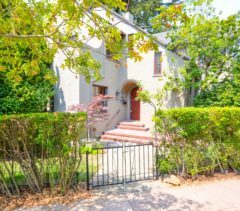 NAPA — The idea of living in an antique home may seem romantic, but it’s easy to overlook the potential practical drawbacks. To avoid making a poor decision, take a look at three key aspects before making an offer. One of the first things you should check before buying an antique home is the condition of its roof. A bad roof can lead to a lot of issues, many of which can affect the entire home. For example, undetected roof leaks can lead to issues with dry rot, which, depending on their extent, can result in the need for expensive repairs. It’s also critical to check a home’s foundation prior to purchase. While some signs of foundation problems are obvious (large cracks), others are more subtle. For example, fine salt crystal buildup on the inside of the foundation means it was built with saltwater, a practice that has since been discontinued due to problems caused down the road. Fortunately, a bad foundation can be replaced, but it’s better to know about it before purchasing the home than to find out afterward. Many antique homes fall under the jurisdiction of the Historical Heritage Commission, in which case your remodeling options may be limited. For example, you may be prohibited from adding on to your home or altering its layout. Even your choice of window frames may be constrained by requirements to maintain the home’s historical integrity. For this reason, before purchasing an antique home, contact the local Building Department to find out if it’s considered “historical” and if there are any building or remodeling restrictions. AMERICAN CANYON — If you’re getting unusually low water pressure from a faucet in your home, it’s likely due to a simple cause. Faucets have aerators, which act as filters that reduce water flow while maintaining a reasonable amount of pressure. Over time, aerators can collect tiny bits of sediment that come out of the water pipe. Eventually, this accumulated sediment can clog an aerator and cause a reduction in water pressure. Fortunately, the solution for this issue is as simple as the cause. 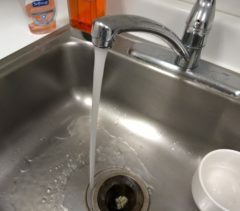 All you need to do is unscrew the aerator from the faucet, clean out any sediment inside and tighten it back into place. Once the aerator is clear of sediment, you should notice an improvement in water pressure. Keep in mind that if the aerator is tightly fastened onto the faucet, you may need to use a wrench to remove it. However, you shouldn’t need a wrench to screw it back into place—hand-tightness should be adequate. If you think your aerator is defective, you can purchase a new one at your local hardware store. Aerators are very inexpensive, so don’t hesitate to replace them if necessary. 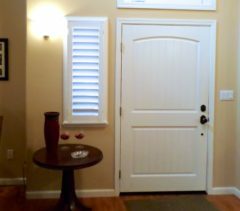 ROHNERT PARK — If you’re planning to install new baseboards in your home, there are a couple of things you’ll need to consider. One is the type of material to be used. You essentially have two choices: authentic wood or medium-density fiberboard (MDF). MDF is the more affordable option, but it has a few drawbacks. For one, since the material is so dense, it “puckers” each time a nail is applied, which results in small imperfections throughout the baseboard. To ensure these don’t show in the finished product, each nail hole needs to be sanded down, primed and painted over. Another drawback of MDF is it produces very fine dust, which can pose an inhalation hazard. Additionally, MDF isn’t as durable as authentic wood and is more likely to swell or warp under certain conditions. Authentic wood baseboards, on the other hand, are very durable and easier to cut and finish. Additionally, since they’re not as dense as MDF, the nails are able to completely disappear into the wood. That way, there won’t be a bunch of imperfections that need to be hidden after installation. Another consideration with baseboards is the types of corners your house contains. Typically, the walls in a home will either have square, 90-degree corners or rounded corners, known as bullnose corners. 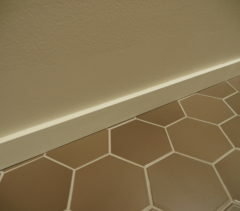 With the former, installing baseboards is simple, since they naturally come together at the corners. With bullnose corners, things get a bit more complicated. One option is to buy corner pieces that match the profile of your baseboards. Otherwise, you can buy some extra baseboards and cut out pieces to fit the corners. However, instead of having round corners, you’ll now have three-piece, slightly angled corners that have little gaps on the top. To fill these gaps and still achieve a pleasing aesthetic effect, you’ll need to hire a skilled painter. Jeff Kann, Diamond Certified Expert Contributor and owner of HOUSEworks, Inc., discusses how to stay within your budget on your home remodeling project.